Once Aries and Aquarius fall in love, the combination of the Aries’s actions and Aquarius’s visions can make them be the extremely creative match. Their love seems to be filled up with many colorful sides. Sometimes, we can find their relationship static, but they may be competitive in another moment. To sum up, their love lives are never boring and dull. Besides, these Zodiac signs can become good friends since they are able to communicate with each other well. In life, both of them are likely to have the special understanding of each other’s desires and goals. They always crave new experiences and excitement. It is sure that both Aries and Aquarians will not hesitate to spend much time and money traveling around the world in order to discover new secrets and strange things. The Aquarius-Aries compatibility is often based on the mutual admiration. While an Aries likes her Aquarian’s inventive vision and enthusiastic behavior, an Aquarian loves his Aries for her initiative and energy. In general, an Aquarian will have dozens of new ideas, but he finds it difficult to express them to others at times. Because both Zodiac signs appreciate independence, they are apt to do anything by themselves without any help. Although both an Aries and an Aquarian have the special connection, they often see this world under different lights and perspectives. This will make their daily lives fun and exciting. When being in a relationship, they always get agreement and admiration from everyone around them. 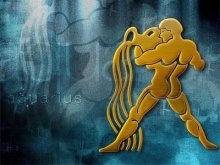 Will Aries be the life mate of Aquarius? Check out Aquarius Compatibility Signs! Aquarius is believed to be ruled by the Planets Saturn (Karma) and Uranus (Rebellion) while Aries is supposed to be ruled by the Planet Mars (Passion). Therefore, Aquarius is totally able to get its progressive and great vision from Uranus, and its philanthropy and conscience from Saturn. Furthermore, Mars may make an extra idea to this match as it brings direct and passionate actions to all of the lofty ideas and thoughts of Aquarius. Aries is known as a Fire sign while Aquarius is described as an Air sign. Normally, it is believed that Air will fuel Fire and aid it in spreading largely. Likewise, Aquarius is able to assist Aries in thinking about new ideas, and then expressing these ones to everyone. Moreover, Aquarius may stimulate Aries that other signs can fail to do. Basically, both signs have the same interests. Therefore, a mentally active Aquarian surely gives a physically active Aries a lot of enjoyment and pleasure. Aquarius is a Fixed sign while Aries is a Cardinal sign. Basically, Aries can provide Aquarius with the confidence in promoting his unique creativity, rather than sitting in the laboratory. On the other hand, Aquarius is able to help Aries organize and finish her schedules, rather than developing the new projects without completing her old ones, based on Aquarius Compatibility Chart. Both have a lot of admiration and respect for each other that help to smooth any problem in their romance. In short, the relationship between Aquarius and Aries is very interesting, adventurous and amazing. Because both of them adore freedom and fun, they will not be hesitant to let themselves experience various exciting secrets of life. Remember! Though they share the same characteristics, Aquarians will need more space than Aries that can create the distance between them. As a result, to make their love close and tight, it will be a wise idea for both to be courageous enough to share anything with each other, even if there are some private or secretive stories. Just spend much time in looking after each other, their match will be nurtured and balanced. For additional information about this article “Aquarius Compatibility With Aries”, you are able to send us all your questions in the box below. Next article: Aquarius Compatibility With Taurus – A Long Love? This match is a very sweet romance that is full of compassion and creativity. Aquarius and Pisces are both filled with ideas and Aquarius is excellent at putting ideas into motion! Pisces’ dreamy way of looking at life gives Aquarius a lot to work with. Together, they can make dreams become reality. This relationship is built on not just attraction, but a strong friendship as well. They both have a lot in common and love learning from the other. Wish your relationship successful, girl!